If you’re looking for an oil change in your car near Breckenridge, the team of factory-trained and certified technicians at Dakota Chrysler Center is here to help. At our Chrysler service center, we will replace oil with high-quality motor oil while also taking the time to inspect major vehicle components and systems to make sure they’re in good condition. Get an Oil Replacement Near Fargo Today! 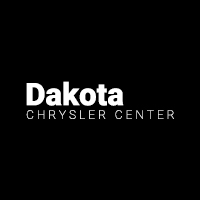 Get the oil change service you’re looking for right now at Dakota Chrysler Center, your Breckenridge area Chrysler service department at 7950 179th Avenue SE in Wahpeton, ND. Our service center opens at 8:00 a.m. Monday through Saturday, and you can contact us at (701) 353-0453 to set up an appointment today! 0 comment(s) so far on Where Should I Get an Oil Change in Wahpeton, SD?